The R.A.M. 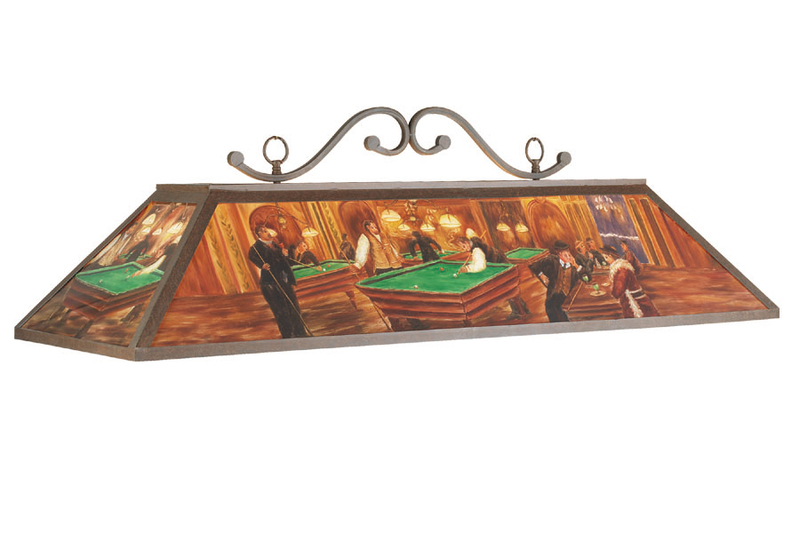 RP48 Billiard Hall light is an elegant glass light featuring hand rendered impressionist paintings on each side. Perfect for any size pool table. This light brings the perfect touch to your game room.